What are the best business opportunities in Bangladesh to be your own boss? Who are you reading the article, as an entrepreneur or an investor? If you need information on the best business ideas & investment opportunities in Bangladesh then we advice continue reading. As Bangladesh is an 8th most populated country with 160 million+ people, there is a good chance to set up a small business. According to the Bangladesh government, the country has entered into the raw of the developing countries. The country’s economy is not only a progressive one but consider being among the next eleven emerging economies in the world as well. As the main exporting good are textile and garments, seafood, jute and fish, the economy of Bangladesh basically depend on these. Besides, it’s one of the largest countries that cultivate and exports; banana, mango, potato, tropical fruits, onion, rice, tea, fish, jute, pineapple etc. There is establishing of several export processing zones as the Government of Bangladesh is doing all they can to encourage foreign investors. 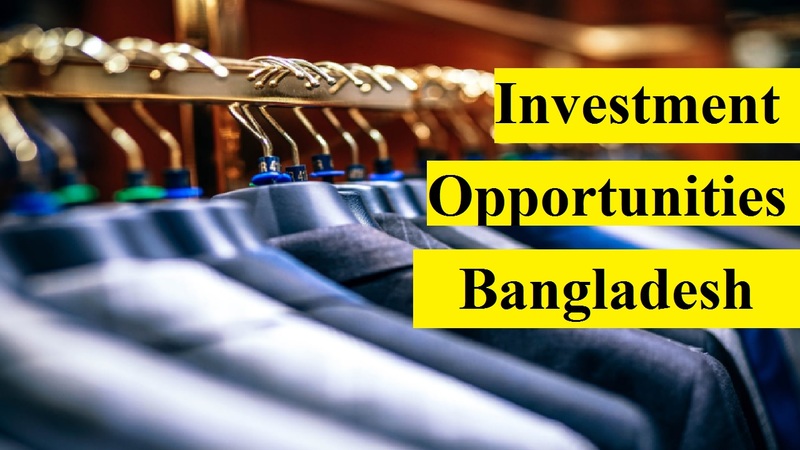 So, investment opportunities in Bangladesh are great for those who are seeking it. You’re investing in the safest place when your investment in Bangladesh. This is because the country not only has a vibrant social enterprise sector but it’s noted as one of the most efficient production/manufacturing hub in the world. Now, let’s know the top 10 profitable business ideas and investment opportunities in Bangladesh. Because of the cheap labor and cheap raw materials that are available in the country, the food processing sector in Bangladesh is indeed a thriving industry. So, you should consider establishing a food processing company in Bangladesh if you’re an official investor and are looking for a place to establish a profitable company. This is because there are all the positives you stand to gain. You may want to consider giving rice farming a shot if you’re game with farming as an investor. So, the market is still very much open to new investors as Bangladesh is one of the largest producers and exporter of rice globally. So, this is not only to deliver for their best experience but you’ll get good profits as well. When it comes to the production of textile and garments, no doubt Bangladesh is recognized globally as one of the leaders. Because of cheap and vibrant labor and cheap raw materials boast the textile manufacturing and garments industry. Rest assures that you would sure make profits if you choose to establish your own microfinance bank in Bangladesh. This is because the business concept is well understood and accepted by its citizens. Before you can be granted a license operate, you may require to have a certain financial base and pay an amount if you intend establishing your own microfinance bank in Bangladesh. Among the highly suitable crops, the main fruits are mango and pineapple along with banana, tropical fruits etc. You would not only have to supply to the local markets but also to international markets if you establish your own fruits plantation. Because it’s cheaper compared to what you can get from other countries, Bangladesh is one of the largest exporters of tropical fruits simply. It’s a seafood and fish business, which is another highly thriving business you can establish in Bangladesh. There will also be a large international market waiting for you if you choose to go into exportation. Also, you can be sure of loads of people patronizing you with a population of over 160 million people. There is a very thriving Freight forwarding industry because the most of the goods produced in Bangladesh are exported to the rest of the world. What you need to do is to register your company and obtain your operational license from the government. Then find out a good location for your office and market your services to companies. It’s highly suitable for the cultivation of tea according to the soil composition and climatic condition in Bangladesh. That’s why you should consider starting your own tea production company if you are thinking of the investment opportunities in Bangladesh. What the best thing about the business investment is that you’ll get the support of the over 160 million people. So, if it is well packaged and famous you won’t have to struggle to market your tea to the global market. As there is a shortage of potable water, it has a great requirement by many household and offices in Bangladesh. So, you should consider starting a Water Refill Station you if you’re looking towards establishing your own business. Besides, it’s one of the most profitable investment opportunities in Bangladesh. They love buying organic since a large population in Dhaka is most concerned about their health. Starting organic gardening is one of the profitable ideas if you own a small or large area for cultivation. If not you can rent one and even you can grow one on your roof-top. So, this is not only to deliver for their best experience but you’ll get good profits as well. As a small business center, Bangladesh is quickly growing. This is because there are plenty of small and micro business investment opportunities in Bangladesh. Although the opportunities always welcome those who are ready to take challenges, setting up and running a business is full of challenges. The power supply is the most important to point out that one of the major challenges entrepreneurs face in Bangladesh. That’s why you should create a budget for power generating sets if you intend establishing your own business in Bangladesh.